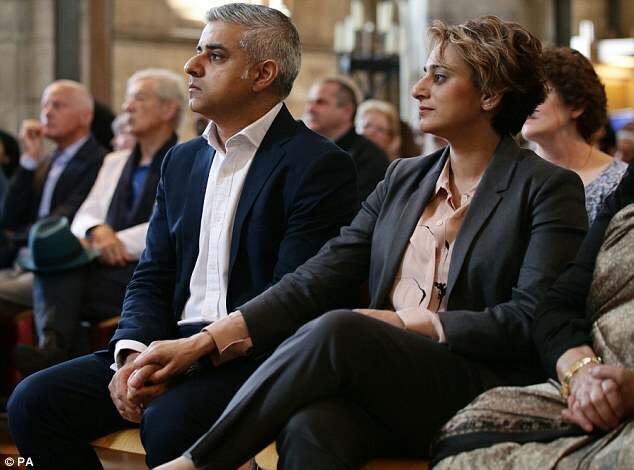 It is quite hard – even for me – to put into words the atmosphere in Southwark Cathedral yesterday when Sadiq Khan entered to begin his mayoralty. As preparations were being made and people were arriving there was a party atmosphere. Some, I suspect, had had no sleep for a few days and so were working on adrenalin and caffeine – but for others there was a palpable sense of anticipation and excitement. I was in the Tutu Room with Mr Khan waiting for the signal that meant that all was ready for us to enter the Cathedral. People had been asked to take their seats and wait quietly. Others in the Cathedral told me later that the silence that then fell upon the place was better than we sometimes achieve before a Eucharist. But it was the silence of expectation, in a place of awe and wonder. Then I led the new Mayor through the sacristy door and into the waiting and anticipating cathedral and it erupted. People sprang to their feet and applauded, long and hard. It was tremendously moving as I showed the Mayor to his seat and then took my place at the lectern. The applause would have gone on if I hadn’t indicated to the Mayor that he should sit. When I was asked whether I would consider hosting this legal ceremony, normally conducted in City Hall, in the Cathedral I didn’t hesitate for long. Of course! Why not? It wasn’t about being party political, it wasn’t about taking sides, it was about London, it was about community and it was about trying to do that work of reconciliation that needed to take place after so many dirty tactics by some in the campaign and especially around the issues of race and religion. You may not have heard what I said in my welcome. The important thing was to hear what the Mayor said and that got all the coverage. So this is part of what I said. 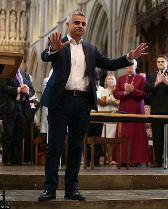 Friends – welcome to Southwark Cathedral on this exciting day for London and all its citizens. Our great city is full of treasures, wonderful hidden corners, world class attractions but above all people from around the world who make this their home and help to make this, perhaps, the greatest city on earth. 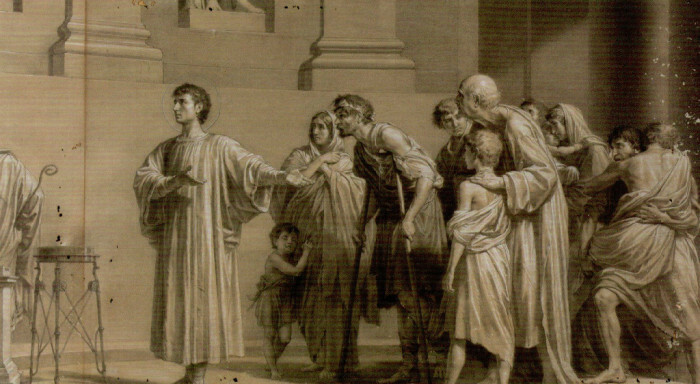 One of the saints of the Christian Church, Lawrence, was a deacon in Rome. It was a time of terrible persecution of Christians by the state. In 258 the pope was killed and Lawrence was immediately dragged before the Roman Prefect and ordered to hand over the treasures of the church. And he did – he brought to the Prefect the poor, the crippled, the blind and the suffering, and said ‘These are the true treasures of the Church.’ It didn’t end well for him and he followed the pope as a martyr but it’s a great story and it applies to us all – whatever our faith, whatever our politics, whatever our social advantages or disadvantages. In a city of treasures and wealth and opportunity the true treasure, the true wealth and the true source of opportunity is every single person, every neighbour we have. 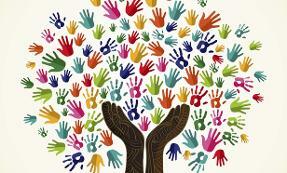 We can celebrate that in this moment of new beginnings, building on the past and looking to the future. We are grateful to our new Mayor for bringing this ceremony for London out of City Hall and into this place. here that the monks decided to provide for the sick by building the first St Thomas’ Hospital; it was here that back in 1561 the members of the church decided to set up schools for boys and eventually girls that are still providing wonderful education; it was here in 1991 that the first, and still only cathedral chapel in this country, was dedicated to those in the community living with or affected by HIV AIDS. It was here that Shakespeare came to church and buried his brother; it was here that a Mohegan Chief from the States was buried in 1736 not as a stranger but a friend. It is here that the victims of the Marchioness disaster are remembered, here that a bishop asked people to be honest to God, here that President Nelson Mandela and Archbishop Desmond Tutu opened and gave their blessing to our new buildings and here that day in and day out we seek to be a holy place for all people, regardless of age, gender, ethnicity, sexual orientation or ability – a real community. Our vision statement says that we’re ‘an inclusive Christian community growing in orthodox faith and radical love’ and one of the marks of our community is that we ‘love London and the world’. So we were delighted when we were asked to host this event as Mayor Sadiq Khan begins his term of office, our first Muslim mayor, something of which we as a Christian community are proud, where he can make his oaths and commitments to the citizens of this capital city and receive from us the support that he will need as he takes on this task for all people, for the real treasure of London – its people! Sitting with representatives of the faith communities in a place of Christian worship used continuously since the 7th century and welcoming our first Muslim Mayor for London was a moment of history and a powerful moment. If a message can go out from Southwark and London and the UK to the rest of the world, to the USA and Paris and the Middle East and so many other places, that celebration rather than tolerance is the way forward it will have been a good day’s work and witness.